Get the highest quality orthodontic treatment in a family-friendly environment. Let us show you how great it is to have a Brodsky Smile. He’s created smiles exclusively in Lakewood since 1976. Our customer service is top-notch because we take your smile personally! 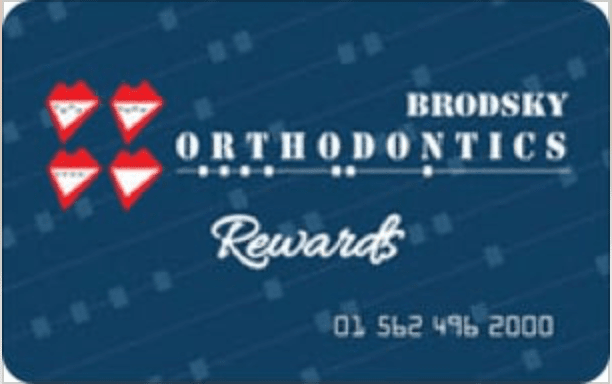 At Brodsky Orthodontics, we want to make you feel like you’re part of the family, and make sure you and your loved ones are happy! Becoming an orthodontist fulfilled a life-long dream of his. If you want to improve the look and feel of your smile, then any age can be a great age to see the orthodontist. Many orthodontic problems are easier to correct if detected at an early age before jaw growth has slowed. Early treatment may mean that a patient can avoid surgery and more serious complications. The American Association of Orthodontists recommends that every child first visit an orthodontist by age 7 or earlier if a problem is detected by parents, the family dentist or the child's physician. Phase I or early interceptive treatment, is limited orthodontic treatment (i.e. expander or partial braces) before all of the permanent teeth have erupted. Such treatment can occur between the ages of seven and ten. This treatment is sometimes recommended to make more space for developing teeth, correction of crossbites, overbites, underbites, or harmful oral habits. Phase II treatment is also called comprehensive treatment, because it involves full braces when all of the permanent teeth have erupted (usually between the ages of 11 and 13). Treatment times vary on a case-by-case basis, but the average time is from 18 to 30 months. Actual treatment time can be affected by rate of growth and severity of the correction necessary. Treatment length is also dependent upon patient compliance. Maintaining good oral hygiene and keeping regular appointments are important in keeping treatment time on schedule.